So - its week 8 and at lunch time today, we arrived back to Kortmar Manor (still under construction) at Barmedman to spend a few days before arriving back home to Murrumbateman in a few days time. Its been an amazing 8 weeks - 11,500km, 51 days (14 days that we paid for camping) and 5 states/territories covered and we spent about $130 per day - sights we never thought we might see and some we actually planned to include. We had a general idea for this trip but a lot of it was open to whatever we might fancy along the way. We finished of the trip with a journey along the Eyre Peninsula - I don't think we saw even part of what it had to offer but maybe next time we can have a better look - but even what we saw below was pretty impressive! We would all like to thank you for accompanying us on this journey - we hope you have enjoyed our pictures and that #BadBetty Mk II has kept you entertained along the way! I have missed the real #BadBetty more than anyone could know but feel confident that she will be getting lots and lots of loves from me later this week when we get back to Murrumbateman. Thank you all - love Lyne, Simon & #BadBetty Mk II. 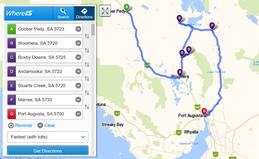 What a week its been since we have headed down into South Australia - another week of over 1000km (the #BadBettyBus has done over 10,000km now!) and so much to see and do. We keep reminding ourselves not to do any more dirt roads but cant seem to risk missing something that we may never get the chance to see again so besides an impromptu visit to Woomera, Roxby Downs (only 29 years old - a purpose built town to support the families for the local Olympic Mine - what a huge operation that is!) and then out to Andamooka, we followed on with a stint along the Oonadatta Track - not the whole way but about 300km out there and enough to see Lake Eyre (South) up close and personal - even though there is no water in any of it so that will be a trip by itself one day when it fills again. Its been another week of lots of time behind the wheel of the #BadBettyBus as we make our way through the southern part of the Northern Territory – starting from Alice Springs, we travelled out to the West MacDonnell Ranges for a couple of days then back into Alice to get cleaned up and then the 400km trip to Yalara – the base town for Ayres Rock and The Olgas. Along with all the cool places I went bush walking in the ranges, I (#BadBetty Mk II) am still buzzing from getting to the top of Ayres Rock (thank you dad, mum was a total bust on that score!) and then riding around the base on our bikes – once again I travelled in style poking my head out of the backpack and I have seriously lost count of the amount of kids and adults that do a double take every time I am out and about with their first thought being to question if I am a real dog or not…. Of course I am!!!! Both Ayres Rock and The Olgas were likely a once-in-a-lifetime experience for all of us and all we can say is that if you ever get the chance, you need to see them both for yourself to appreciate it. We have also added short video's for you to check out as well. 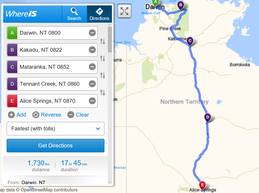 Its 250km each way from the Stuart Highway out to Yulara so once we headed off from there, we made our way towards Coober Pedy – arriving yesterday (19 August) – more to come on Coober Pedy itself in the next edition but we saw the Dingo Fence – the longest man-made structure in the world! I got trapped on the wrong side of the Dingo Fence but my mum saved me! We might go a bit further out of town on our way out of Coober Pedy and get some more pics from another vantage point too. Its pretty windy out this way - check out the remains of a caravan that we saw on the side of the road - we saw two between Ayres Rock and Coober Pedy - I wonder what the insurance company said? At Kakadu we stayed at Cooinda Lodge (an unpowered site) but boy, do they cater for all travelers! There were lots of options for all situations and the facilities were good – with the continuing hot temperatures and humidity that followed us from Darwin, the pool was a bit of a winner for us! We only stayed one night in Kakadu and think we covered off the best part – the dawn Yellow Water Billabong cruise – incredible! More details and pics below. After that continuing heat and humidity (and even locals from both Darwin and Kakadu commented how there was more humidity than normal this time of year), we tasked the #BadBettyBus to transport us beyond that evil heat! We suffered for one more night just short of Katherine but then the next day, after a resupply in Katherine, we spent the heat of the day lounging around in the water at Bitter Springs and at 5pm, made a getaway as it started to cool and our stop at 8pm that night moved us down below the humidity line and we slept more comfortably for the first time in several weeks. We then traveled down to The Pebbles (just before Tennant Creek) for an overnight stay (great camp grounds) and then on to The Devils Marbles – what an amazing spot that is! The camp grounds are great and the scenery has to be seen to be believed – we are still amazed at not only how quickly the landscape changes as we travel but also how many variations there are in such hot climates – Australia is truly an amazing place. Firstly - this week our huge thanks go to Drew, Esther and Charlotte Wagner for allowing us to park the #BadBettyBus at their place in Darwin - we cant than you enough! So - after a bit of a look around Darwin when we arrived, on Wednesday we all boarded the "Sundancer" and thoroughly enjoyed an incredible cruise around the Darwin Harbour and watched an amazing sunset, ate lots of nibblies and drank WAY too much champagne! Thank you Sail Darwin - you put on quite a show! Thursday morning we boarded the minibus with Wallaroo Tours (I think #BadBetty was the only one NOT nursing a hangover!) 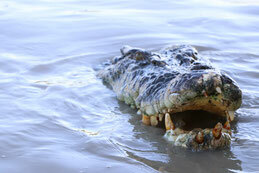 and headed out to the Adelaide River to be entertained by Pat and his Jumping Crocs - wow! To be honest, a bit too up close and personal for mum and those cheeky buggers kept eyeing me (#BadBetty) off like I was their next meal! After surviving the Jumping Crocs, we headed out to Litchfield National Park to see some amazing swimming spots (Wangi Falls and Buley Rockhole) and then checked out the amazing termite mounds on the way out. Thanks everyone for joining us - we have only included a small selection of pictures from each of our adventures below - we still have to find a way to get all the pics up for your viewing pleasure! 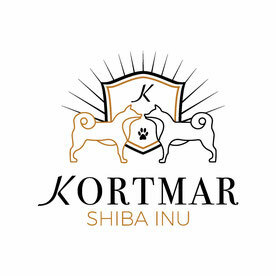 Lyne & Simon are Kortmar Shiba Inu. We are located at Kortmar Manor, 15 Queen Street, BARMEDMAN NSW 2668. We breed our pups first and foremost for ourselves and not to meet market demand - we make available for sale those pups that we don’t keep or place into the show ring with others - we don’t have pups available all the time and not everyone that would like a puppy is going to be able to get one. There will ALWAYS be a wait for a puppy. Please apply for puppies or adults via the Wait List application.